A knife-wielding assailant killed one person and injured four others in a lively neighborhood near Paris' famed Opera Garnier before he was killed by police in the French capital Saturday night. 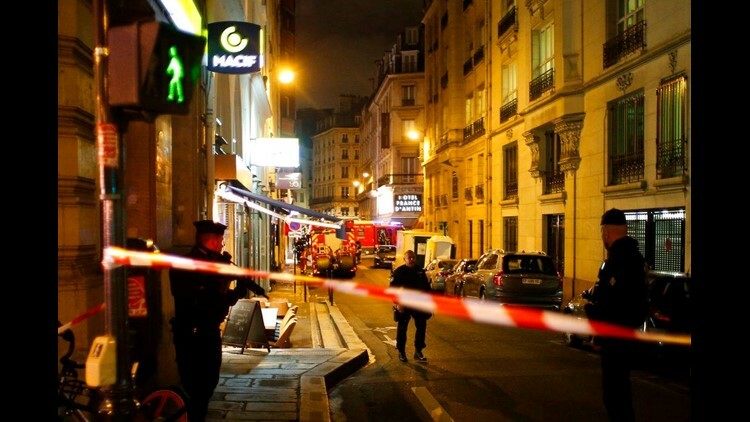 PARIS (AP) — A knife-wielding assailant killed one person and injured four others in a lively neighborhood near Paris' famed Opera Garnier before he was killed by police Saturday night. The Islamic State group claimed the attacker as one of its "soldiers." Paris police said the attacker in Saturday's stabbings was armed with a knife and targeted five people in the 2nd arrondissement, or district, killing one and seriously injuring two. The other two suffered less serious injuries.